It looks like Christmas has come early for 007 fans with the dramatic news that archetypal Bond villain Ernst Stavro Blofeld may be back for Bond 24, which starts shooting in early December. 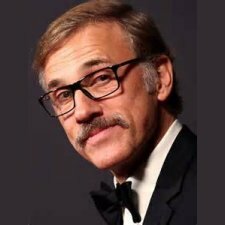 Written by Chris Hastings in London and Caroline Graham in Los Angeles, the Mail story claims that Christoph Waltz is tipped to play the evil genius, and that Waltz’s involvement in the new 007 movie, which will be Daniel Craig’s fourth adventure as Britain’s most famous fictional spy, will be confirmed at the official press conference held to launch the new film, which takes place in the first week of December. Moreover, the Mail article claims that the press conference will announce that Waltz is playing an unknown character named Franz Oberhauser, son of the late Hans Oberhauser, a ski instructor who acted as a father figure to Bond. 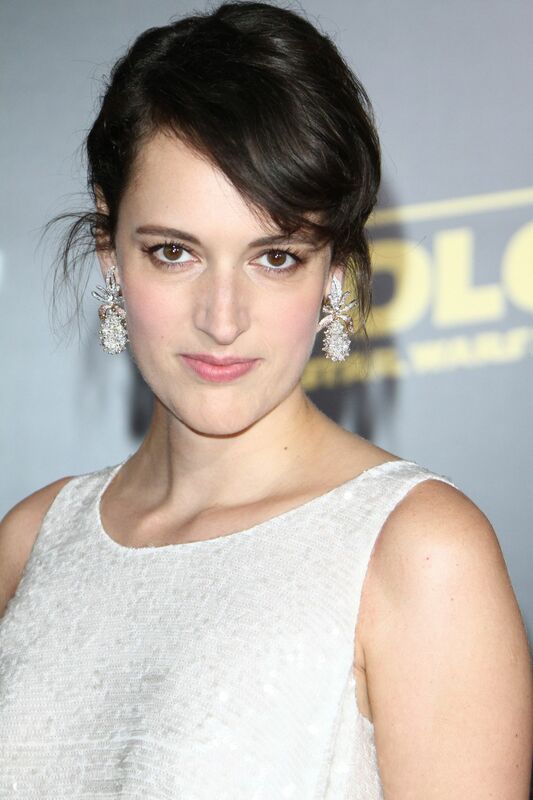 In the Ian Fleming books, the Bond author made James Bond an orphan, as his parents – Monique Delacroix, from Switzerland, and Andrew Bond, from Scotland – were killed in a tragic climbing accident in the Alps. According to the sketchy timeline set out by Fleming in his books, the young Bond was taught to ski by Hannes Oberhauser, of Kitzbuhel, shortly after he attended the University of Geneva. To what extent any of this background detail will appear in Bond 24 is difficult to say. However, according to the Mail, ‘senior sources’ (un-named, of course) believe that the casting of Waltz as Franz Oberhauser is a double bluff worthy of 007 himself, and that Waltz is actually playing Blofeld. The Mail report cites one Hollywood source as saying: ‘Christoph Waltz is playing Blofeld in the next Bond film. The tone of the 007 films has changed significantly in recent years and the producers have changed the character to fit in with the new-look 007’. 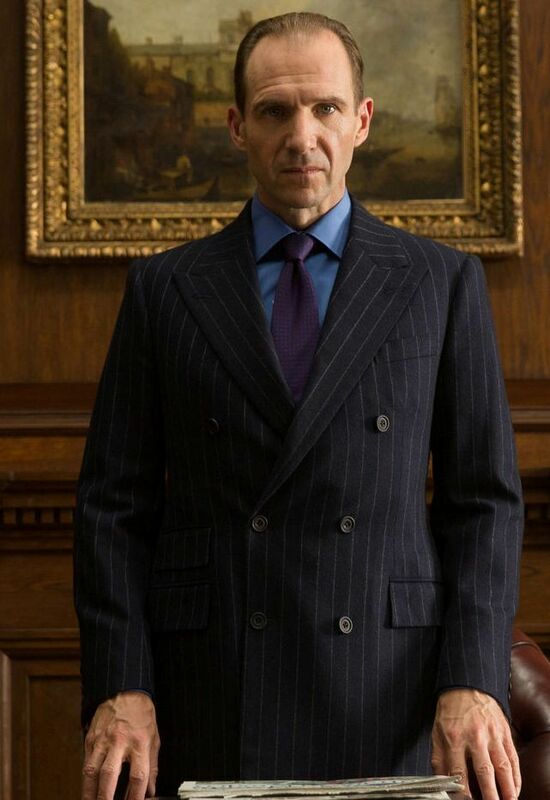 The article also points out that Blofeld’s return is now possible because of the settlement of the long-running legal dispute that took place between EON and the estate of the late Kevin McClory who, for many years, claimed he held the rights to both Blofeld and SPECTRE, and various other elements of the James Bond creative concept. As many Bond fans know, Kevin McClory died in 2006 and, in 2013, McClory’s estate sold their remaining claims to Bond and Blofeld to Danjaq, the official maker of the 007 franchise via its subsidiary EON, and distributor MGM. The settlement meant that the character Blofeld and his organisation SPECTRE were once more ripe for inclusion in any future 007 movies. This immediately led to intense speculation about whether EON would one day make use again of the iconic villain. The Mail article notes that pre-production on Bond 24 has started, including in Austria, and when the newspaper approached Bond producer Michael G. Wilson he declined to comment on the story, as did a spokeswoman for EON. If the information about Blofeld’s return is indeed true, the latest revelation about Bond 24 represents a major piece of casting news, and will undoubtedly bring cheers from 007 fans across the globe. Ernst Stavro Blofeld was first introduced to readers in Ian Fleming’s novel Thunderball (1961), where he was head of SPECTRE, a global criminal organisation based in Paris. In the movies, SPECTRE was first name-checked in Dr. No (1962), and Blofeld himself was first glimpsed (in profile only) in From Russia, With Love (1963). 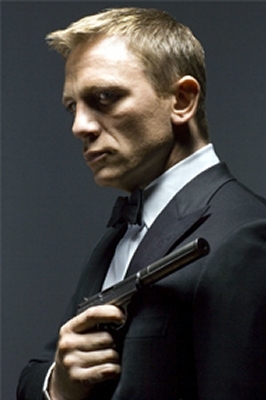 He went on to become a much-loved feature of the James Bond series, appearing in five further films. Some commentators in the past have compared Ernst Stavro Blofeld to the character Moriarty, the devious and super-intelligent adversary to the famous detective Sherlock Holmes. There is certainly something beguiling about the head of SPECTRE, and one of the pleasures of the early James Bond films for cinemagoers was discovering what Blofeld’s latest mad scheme entailed. He was last glimpsed in the official Bond franchise in For Your Eyes Only (1981), and then appeared in McClory’s ‘unofficial’ Bond movie Never Say Never Again (1983). 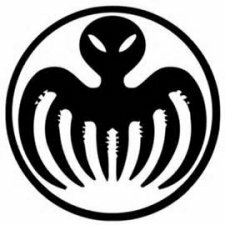 Interestingly, speculation about Blofeld and SPECTRE was given a fillip in the run-up to Bond 23, when scriptwriter John Logan made a teasing remark that he thought Blofeld was a worthy adversary to Bond. 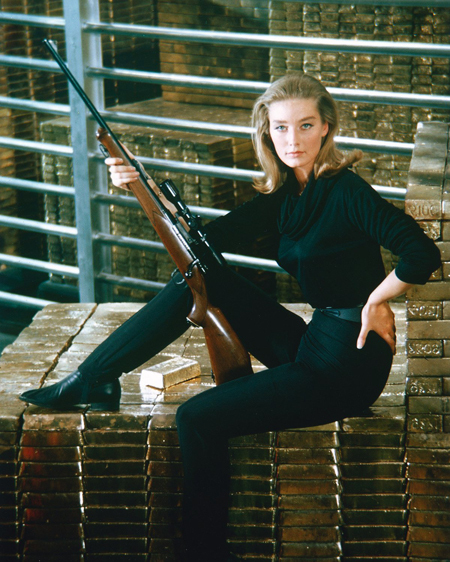 Speaking at a special BAFTA Screenwriter’s Q & A event, when asked whether he still held to a comment on this topic that he had made some years previously, Logan repeated (with a wry smile) the same comment: ‘Bond should always fight Blofeld’. Such comments led to a flurry of further speculation and views. A good example came in November, 2013, when writer Scott Meslow penned an article making the case for the return of Blofeld (see the JBIFC’s news report of 15/12/2013). Meslow argued that Blofeld remains 007’s most memorable adversary in both the books and the movies. But, argued Meslow, Blofeld’s return should not necessarily be as the bald, scarred, cat-stroking version seen in the early EON films, and so warmly lampooned in the Austin Powers movies. A brand new interpretation could be offered that would fit in with the ‘more grounded’ style of the Daniel Craig 007 movies. As Meslow pointed out, the Blofeld of the books in particular ‘is a more evasive figure, and one that would translate far more neatly to the modern 007 movies. In each of Blofeld’s literary appearances, James Bond isn’t entirely sure that he’s targeted the right man; every time Blofeld evades justice, he undergoes extensive plastic surgery on his face, or loses or gains a significant amount of weight, and flees to a well-stocked hideout, which makes him all but impossible to track with any kind of certainty’. Meslow continued: ‘In many ways, Blofeld has become a more poignant villain than ever. In a modern political context that has shifted from enemy states to scattered, elusive enemies, the idea of a villain with the intelligence and resources to reinvent himself is a frightening one’. In Meslow’s view, therefore, Blofeld’s ‘chameleonic qualities make him a uniquely strong candidate for reinterpretation’. Mewslow’s comments certainly gave many Bond fans food for thought, especially when they contemplated possible plot scenarios for Bond 24. It would appear that John Logan may have been thinking the same way. Time will tell. Some of Ian Fleming’s biographers have argued that the Bond author ‘borrowed’ the name ‘Blofeld’ from Tom Blofeld, a Norfolk farmer who was chairman of the Country Gentleman’s Association and also a fellow club member of Boodle’s, the London club where Fleming often went to eat. He had also been a contemporary of Fleming’s at Eton school. Incidentally, Tom Blofeld’s son is the famous cricket commentator Henry Blofeld, something which the cricket-loving Sam Mendes is no doubt well aware of! I liked Telly Savalas; he was the arch enemy when Bond got married. I can relate to being institutionalized as a teenager! Great article. Thanks. So will SPECTRE be ‘Quantum’ in this iteration of Blofeld? Seems like that would connect nicely. I would imagine the key to injecting Blofeld into Bond again is to secure Daniel and Christoph to multiple movies (I’m not sure how many more films Daniel has on his contract). It would be good to get Christoph to be Blofeld for at least a few films… at least for the Daniel Craig films.